Who is Mac's Pubs ? Mac’s Pubs is a Miami based company born around the idea that temporary, special event bar service can be more than a simple bar rental with your typical booze. Mac’s Pubs mobile bars are designed and custom built much like the cocktails we offer; made with passion and our unique brand in mind. 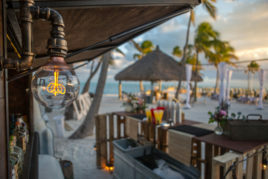 The rustic feel of the mobile bars paired with locally sourced fresh ingredients, quality libations, custom menus, and educated staff calls for a fantastic bar service at any event. We can go on an on but five commas in one sentence is a bit much. Email us now to see how we can bring some good vibes to your next party. One of the most important components of a successful event is a fantastic bar service. Mac's Pubs offers both its mobile bars and temporary interior builds for any event. Our signature cocktails are made with freshly squeezed juices that we make from local produce. Macs Pubs differentiates itself by having mobile bars that create their own experience. We currently offer two custom made mobile bars; our 1957 antique pickup bar and our 20 foot Tiny home cocktail bar. 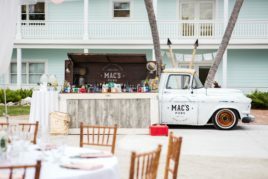 Make a statement by hiring Mac's Pubs to bring a rustic ambiance to your life event. Weddings, graduations, birthdays, retirements, religious milestones, and more. When you hire Mac's Pubs we customize a full menu to customize your needs. 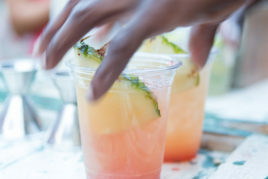 Craft mixologists create quality cocktails to satisfy any taste. This 1959 Chevy Apache 3800 was purchased in Missouri and is built from the wood and rood panels of a Missouri Barn. 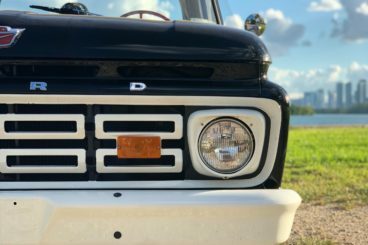 Sporting a fantastic patina, this farm truck is all original up front with a custom built bar in the rear with stainless steel countertops, a four tap draft system, and Farm style lamps. This is our 1957 GMC pickup truck that we converted into a mobile booze truck. 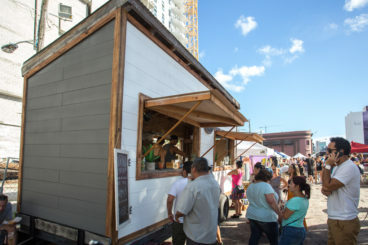 The Truck was purchased in Wisconsin and converted in 2016 to meet the demand Mac's Pubs had for a smaller mobile bar that could serve private parties/ weddings with limited space. This bar is about 16 feet long and comes with an auxiliary service bar thats placed in front. It serves up to 2,000 guests with 2-3 bartenders. Just purchased, this 1964 Ford F250 spent its like as a work truck in Upstate NY. Shiny black paint with a gorgeous red interior this original truck will make an excellent addition to our fleet. Coming to Miami to be ready for late 2018 and 2019 Season. Our first and most well known mobile bar, this 20 foot Tiny home was built by Mac's Pubs founder in the fall of 2015. This cocktail bar has two sides with different vibes/ feels to match any occasion. This bar can serve up to 6,000 people and house 8 bartenders through its 4 service windows. 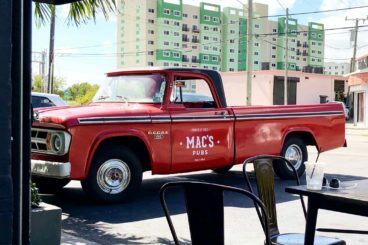 Purchased in Tyrone, Pennsylvania where it spent most of its life, This 1951 Ford F5 is the newest addition to the Mac's Pubs fleet. This beauty is in the pipeline to become our work truck/ Beer Tap bar. 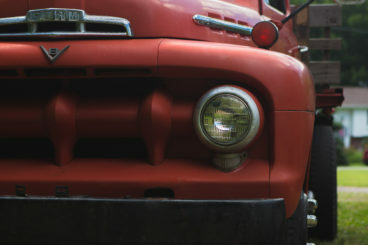 Our 1969 Dodge D100 is the youngest truck of them all. Set to be finished by spring 2018 this truck has a simple design and will be sporting a beer and cocktail tap system to quickly and easily serve its guests. I cannot recommend Alex and his crew at Mac's Pubs more. They not only make amazing drinks and add a unique element to your party, but they put out the vibes so hard. They are an incredible team, super professional, amazing service, the drinks and the truck is a bonus. But what a bonus it is. My party was blown away by how great the drinks tasted and how different the bar set up was. I wish I could take the credit but I gladly gave them all the props. They were/are outstanding. Dont waste your time with the basic bars. It's your wedding day. 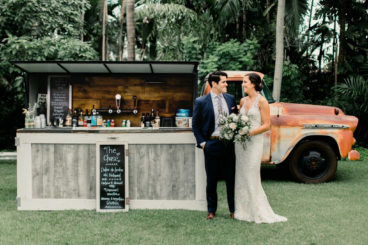 Having Mac's Pubs at our wedding was truly a unique craft bar experience! Their vintage trucks gave us all the feels and their bar is equipped with tons of antique treasures repurposed beyond your imagination. Not only do the bartenders 'look' cool in the stylish aprons but they're also very friendly and professional as well. The owner, Alex was super accommodating to all of our requests and he worked with us to ensure that the signature cocktails delivered everything we hoped to expect from an upscale mixology bar! I would highly recommend Mac's Pubs to anyone looking for an elevated bar experience at their event! We hired Mac's Pubs based on two things - epic drinks and great humans. 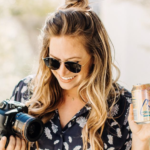 They will deliver on this and more, with professionalism leading up to the day in setting up your drink creation to making sure the small details that the couple doesn't often consider will be present at the bar. They have a great crew of bartenders that will make your guests laugh all evening and keep the party flowing with yummy alcoholic [and non!] all night. 10/10, 5 stars, all the applause for these guys. thank you!!!! I thought that Mac's did a phenomenal job. 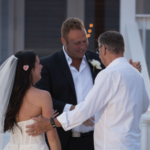 They were extremely responsive and helpful in the months/weeks prior to our wedding. They were professional but lighthearted and pleasant to work with. The quality of their product, brand, and customer service was absolutely top notch. They provided exactly what we were hoping we would get. Alex was great to work with and the bartenders were professional and very friendly. The drinks were perfect, especially our custom cocktail. Their pricing was fair and in line with what we were hoping for. I'd recommend them 100 out of 100 times. In a world filled with mediocre service and underachieving businesses, its nice to have one that absolutely blew us away from every aspect of the experience. Thanks to Mac's Pubs! 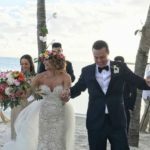 Mac’s Pubs offers one of the most unique experiences for your wedding. The vintage flair of the trucks and bar decor perfectly match the outstanding cocktails that they create! They worked with us to invent our own signature cocktails and helped us perfect some amazing recipes. The bar staff was incredibly polite and always made sure our guests were enjoying their drinks. We will definitely use Mac’s Pubs for our next big event! Excellent service and very amiable bartenders. Mac's Pubs did everything to accomodate our event, even two days before it. Everyone enjoyed their custom drink. Will recommend them without hesitation. 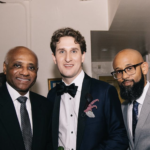 Alex and the team at Macs Pubs are the people, and the set up, and the vibe, that you NEED at your wedding! I was very selective about my vendors for my big day. Aesthetic, good vibes, and a good party were of utmost importance to me. They were a last minute addition to my vendor team (like, 2 weeks prior to the wedding type of last minute...oops!) but they were easily one of my favorite vendors of the whole day. Lesson learned from that - I got lucky with their availability...don't wait to book them because you will be BUMMED if they aren't available. First of all, lets talk about how cool their set up is...their truck set the tone for cocktail hour and the rest of the night along with their friendly and (handsome- never a bad thing!) bartenders who were conversational and super accommodating with my guests. It was as if Alex's sole purpose that night was to make sure I always had a drink in my hand, which I don't even know how he managed to do that so well because my guests kept the bar pretty busy! Not only was he awesome in the mix of everything, but later on I found out that he was helpful with "extinguishing" a few "fires" from dropped balls by other vendors and my appreciation only grew from there. By the end of the night I felt like I knew him forever and my husband and I were so stoked that they were able to be a part of our happiest day. If you're cool with having a standard bar with grumpy bartenders, boring linens and a long line thats shoved in the corner of your venue, Mac's Pubs isn't for you. 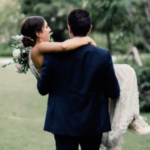 If you want people who care about your experience on your wedding, have a super cool vibe, are professional yet still relatable and fun to be around - look no further! 10/10 would recommend. Now I just have to figure out a way to incorporate them in every party I throw from here on out!